The Daily Wire’s Ben Shapiro, comedian Adam Carolla, along with Nadine Strossen, law professor, New York Law School, Michael Zimmerman, Ph.D., former provost and vice president for academic affairs, the Evergreen State College, and Fred Lawrence of the Anti-Defamation League, all provided testimony concerning the ongoing assault on free speech on college campuses. These events have grown in frequency, with some, like UC Berkeley, devolving into rioting and vandalism. In the era of political correctness, microaggressions, and snowflake hysteria that has infested higher education, which has increased in intensity since Donald Trump’s 2016 win, the House Oversight Committee chaired by Rep. Jim Jordan (R-OH) invited these five individuals to discuss the problem. It’s one thing when college campuses were a hotbed of dissent over an unpopular war in Southeast Asia back in the 1960s. It’s another thing to riot because you don’t like someone’s political beliefs. Shapiro gave his opening remarks, where he explained how he has experienced first hand the illiberal nonsense of the far Left. He noted that speakers with similar views as himself are not safe on some campuses. The conservative commentator speaks at dozens of colleges every year. From California State University-LA to University Wisconsin-Madison to Penn State and UC Berkley, the anti-free speech zealots are there because Shapiro directly and tenaciously challenges their worldview. It’s a violent one as well. It’s completely antithetical to American values. Shapiro added that to understand this movement, you must understand the hyper-progressive ideology behind it. It’s a snake pit of identity politics, a graduated scale of victimhood in which one’s argument’s validity is solely based not on the grasp of the facts, but on the individual's race, culture, or ethnic background. Those who have been historically oppressed have greater weight in a debate. That’s nonsensical crap. It’s all part of a three-step argument. The first I just mentioned, which is the validity or invalidity of an argument can be judged solely by the person’s racial, ethnic, or cultural identity. Second is that any opinions to the contrary should be seen as engaging in verbal violence. Third, physical violence may be necessary to stop the verbal violence. Shapiro closed by saying that our society is strengthened by vigorous and energetic debate. Shielding students from that atmosphere is dangerous. Rep. Jordan quipped that most of higher academia would have found Shapiro’s remarks, which came in a few seconds under five minutes, to be a microaggression. During questioning, Shapiro added that he has no problem with people protesting his speeches – he does have a problem with people preventing him from speaking. Concerning hate speech, he’s aware of the vitriol in our political discourse, though he noted that’s different than when someone commits an actual crime, in which there would be universal agreement that whoever the perpetrator is should be charged accordingly. Hate speech isn’t really prosecutable, especially with the examples the far Left brings concerning campus speakers. He added that his policy at his speaking engagements is that if you disagree with his remarks, you go to the front of the line for the Q&A session. Carolla, who followed Shapiro’s testimony, explained to the panel how he once toured the country with Dr. Drew for their podcast called "Loveline," visiting over 100 college campuses, with no safe spaces in sight. Fifteen years later, the story has changed. He went out with radio host Dennis Prager recently and attempted to do a show at Cal State North Ridge. Without any good reason, “they pulled the plug on it,” Carolla said. It wasn’t until their attorneys got involved that the event was rescheduled. 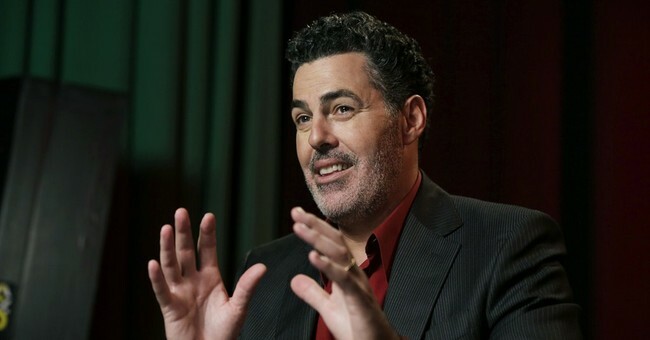 “You know our country is in serious trouble when the voice of reason is a comedian known for making prank calls with puppets,” comedian Adam Carolla wrote before coming to Capitol Hill to sound off on the stifling of free speech on today’s college campuses. Carolla is rightly concerned about the “terrible fog of censorship” that is overshadowing academia. He sounded off on the college coddling of young people. Instead of challenging them and exposing them to opposing ideas, schools are handing out coloring books, he said. Carolla noted that students are only kids and that adults need to be the adults, before using a space analogy to hammer his point home. When it came time for Rep. Thomas Massie (R-KY) to ask questions, he brought up the disturbing case from a Michigan community college, where students were arrested for handing out pocket constitutions. Massie noted that’s the height or irony, while thanking organizations, like Young America’s Foundation, for changing the free speech conditions on 25 campuses across the country. He asked Mr. Carolla if the pocket constitution was dangerous, to which the comedian responded by saying not if there wasn’t a knife in it. Carolla did offer a good point in observing that the discussion was very college-centric, noting that he doesn’t have a college degree. He said he had to figure out how to be a good, decent person without obtaining a higher education. Instead, refocusing on what these kids are learning from their parents. The Kentucky congressman then asked if time, manner, and placement protocols in colleges were being abused, to which Shapiro agreed. UC Berkeley has been notorious for this with him and Ann Coulter. He added that it’s become merely a cover for ideological discrimination. Berkeley eventually relented, saying they had found a venue for Shapiro to speak. Rep. Dave Brat (R-VA) offered his observation being a former professor, noting that 20 years ago—he could have a conversation with his liberal colleagues. That’s not the case anymore, as the far Left has moved towards a policy of deconstruction, constituting attacks on the free market and the Judeo-Christian foundations of the country. Rep. Gary Palmer (R-AL) later added that he knows some speech can lead to violence; he was on the baseball field when a leftist gunman, James Hodgkinson, opened fire. On a lighter note, Rep. Jamie Raskin (D-MD) wondered if there was a way to reincorporate heckling into our political discourse. He cited the Lincoln-Douglas debates in which heckling was absorbed into the event. He added that it’s devolved into kids shouting down people, which is stupid. Carolla responded by saying that he, Dennis Prager, and Shapiro are on good terms. He tells Jewish jokes to them. Prager takes good-natured swipes at Carolla’s atheism. He noted that busting chops is part of his business. Raskin closed by saying that obviously none of these guys are running for Congress, which drew laughs from the audience.